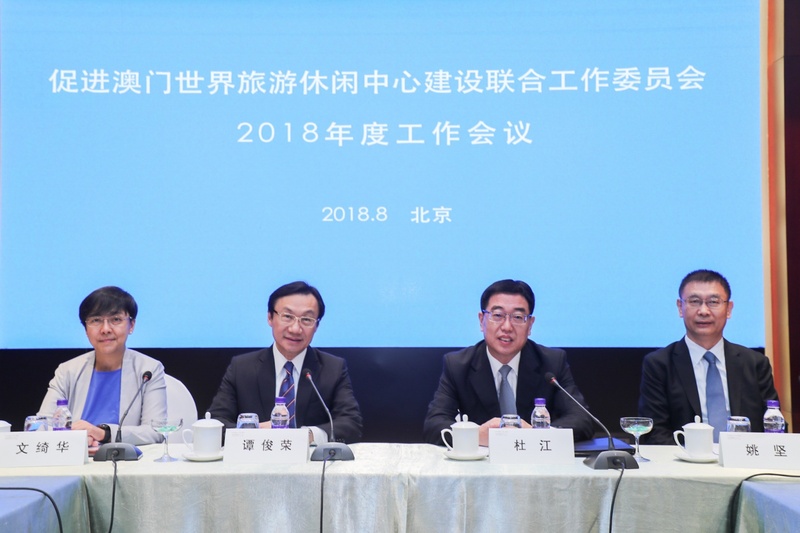 To fully deliver the function of its mechanism in pushing forward Macao’s transformation into a world centre of tourism and leisure, the Joint Working Committee on Tourism to Support the Development of Macao into a World Centre of Tourism and Leisure (referred to as the “Joint Working Committee”) convened the 2018 Annual Work Meeting in Beijing today (28 August). Leaders and officials representing about ten entities concerned, including the Secretariat for Social Affairs and Culture of the Macao Special Administrative Region Government, the Ministry of Culture and Tourism of the People’s Republic of China and the Liaison Office of the Central People's Government in the Macao Special Administrative Region, discussed a range of topics and exchanged views on pertinent tasks during the meeting. The two Conveners of the Joint Working Committee, Secretary for Social Affairs and Culture of the Macao SAR Government, Alexis Tam, and member of the leadership of the Ministry of Culture and Tourism of the People’s Republic of China, Du Jiang, both delivered a speech during the annual work meeting, followed by remarks given by Deputy Director of the Liaison Office of the Central People's Government in the Macao SAR, Yao Jian. Following the addresses, the two Secretaries General of the Joint Working Committee, Director of Macao Government Tourism Office (MGTO), Maria Helena de Senna Fernandes, and team member of the Bureau for International Exchange and Cooperation (Hong Kong, Macao and Taiwan Affairs Office) of the Ministry of Culture and Tourism of the People’s Republic of China, Li Yaying, presented the tourism situation and work progress of the Joint Working Committee over last year respectively. Members of the Joint Working Committee as well as officials and representatives of the entities concerned from the Mainland and Macao discussed and reached a consensus on various topics on the agenda, including “conscientiously carry out national tourism policies favorable for Macao, refine the system of polices and enhance implementation of polices”, “continuously foster Macao’s development into a world centre of tourism and leisure through a range of simultaneous measures”, “advance collaborative tourism development across the Guangdong-Hong Kong-Macao Bay Area by collective efforts and wisdom”, “strengthen cooperation in different areas including supervision, study tour, poverty alleviation and destination marketing, widen and deepen the spectrum and level of collaboration”. 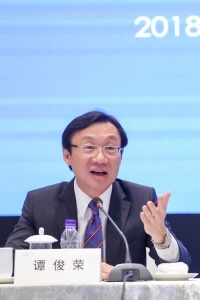 Convener of the Joint Working Committee on Tourism and Secretary for Social Affairs and Culture of the Macao SAR Government, Alexis Tam, pointed out that the direction of Macao towards becoming a world centre of tourism and leisure is well aligned with the trend of the times and effectively mirrors the strategy of the Macao SAR Government to foster adequate diversification of the local economy. In this annual meeting, all leaders and officials have proffered opinions and advices that will tremendously bolster the pursuit of the Macao SAR Government in building the city into a world centre of tourism and leisure, and facilitate the progressive and active advancement of the tasks involved. It will serve as significant guidance for the Macao SAR in pushing forward sustainable tourism development. 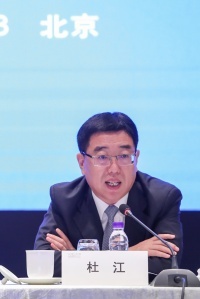 Convener of the Joint Working Committee on Tourism and the member of the leadership of the Ministry of Culture and Tourism of the People’s Republic of China, Du Jiang, stated that in recent years Macao has been proactively striving to gain a new momentum for development with its unyielding dedication to become “a centre and a platform”, making a historic leap forward in its increments of economic strength. In order to strengthen and manifest cultural confidence, as well as foster integrated development of tourism and culture, the Central Government has established the Ministry of Culture and Tourism, bringing forth a new force in moving cultural and tourism development forward. The Ministry of Culture and Tourism will keenly support Macao’s thorough participation in the Bay Area development, ready to join hands with Macao in unveiling a new horizon for cultural and tourism integration at a wider and deeper level. 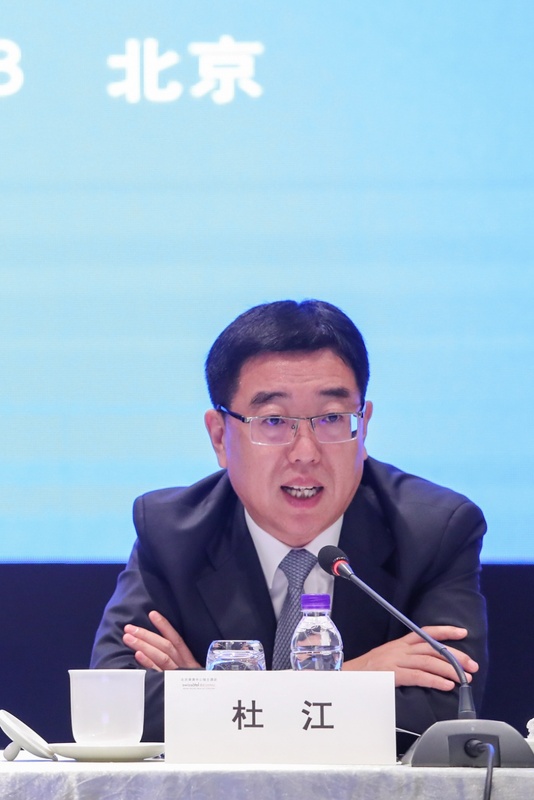 Deputy Director of the Liaison Office of the Central People's Government in the Macao SAR, Yao Jian, remarked that the Joint Working Committee on Tourism has begun a wide array of productive tasks on deepening regional integration and cooperation in tourism, optimizing the system of policies, expanding the diversity of tourism markets, fostering synergistic development across tourism sectors and other aspects of work since it was first established. The Committee has considerably enhanced the incorporation of Macao into regional tourism cooperation, while actively creating a paradigm shift towards mega integration across the tourism industry and continuously upgrading service quality management among industry operators. The efforts have created a significant effect on the enhancement of Macao’s international influence and reputation alongside a major impetus for the city’s development into a world centre of tourism and leisure. The Joint Working Committee believes that by combining cultural and tourism elements, enhancing profound collaboration among the city cluster of the Guangdong-Hong Kong-Macao Bay Area and getting aligned with the development plan of the Bay Area, in addition to the rich cultural resources of Macao, a greater synergy will be created to expedite Macao’s transformation into a world centre of tourism and leisure. Leaders and personages at the meeting include officials from the following units of the Ministry of Culture and Tourism of the People’s Republic of China, namely the Bureau for International Exchange and Cooperation (Hong Kong, Macao and Taiwan Affairs Office), the Department of Human Resources, the Department of Finance and the Department of Market Supervision. 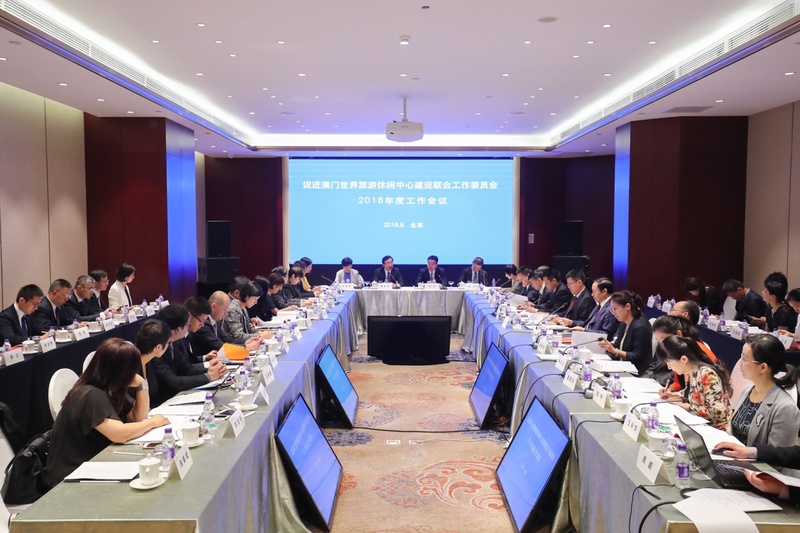 The meeting was also attended by officials representing other Mainland entities which include Asia Tourism Exchange Center, Tourism Administration of Guangdong Province, Tourism Administration of Guangzhou Municipality (Rotating Chairman Entity of the Tourism Federation of Cities in Guangdong, Hong Kong and Macao Bay Area), Management Committee of Hengqin New Area, as well as Zhuhai Culture Sports and Tourism Bureau. From Macao, President of the Institute for Tourism Studies, Fanny Vong, Advisors of Office of the Secretary for Social Affairs and Culture, Charles Lam and Stella Leong, MGTO Deputy Director Ricky Hoi, and representatives of the Education and Youth Affairs Bureau, were present in the meeting together with others. In June 2015, the former China National Tourism Administration (CNTA) and the Macao SAR Government signed the “Agreement between Macao and the Mainland about Establishment of a Joint Working Committee on Tourism to Support the Development of Macao into a World Centre of Tourism and Leisure”. With the concerted efforts of different parties, the Macao SAR and the Mainland unfolded a range of tourism-related tasks, including participation in joint destination promotions for Guangdong, Hong Kong and Macao to promote multi-destination travel and foster regional cooperation in tourism, as well as deepening cooperation with the Tourism Administration of Guangdong Province and other municipal tourism authorities in the area of tourism quality regulation. In addition, to support the development of the Guangdong-Hong Kong-Macao Bay Area, the Tourism Federation of Cities in Guangdong, Hong Kong and Macao Bay Area was established by Macao, Hong Kong and nine Guangdong cities under the guidance of the former CNTA in December 2017. With the aim to put the “Framework Agreement on Deepening Guangdong-Hong Kong-Macao Cooperation in the Development of the Bay Area” into thorough implementation, the member entities are joining hands to forge the city cluster of the Bay Area into a travel destination with global influence.